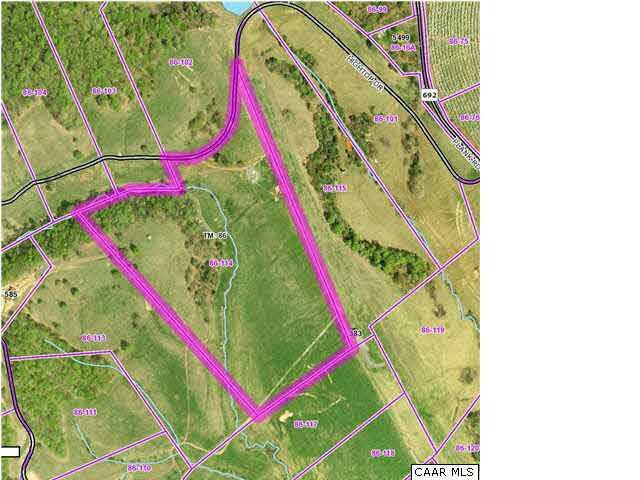 Magnificent 37+ Acre lot at Bundoran Farm featuring an elevated, level building site offering commanding views of the surrounding pastures and neighboring parcels protected by conservation easement. The mostly open parcel is sheltered on the west by stands of mature poplar and oak, and the building site sits at the edge of the pasture providing light and breeze from all sides. Private, picturesque gently rolling land & a creek all 10-15 minutes south of C'ville & UVA.